In good KM fashion, I’m going to steal with pride. I want to adapt an idea I heard on Radio 4’s PM programme on Monday. 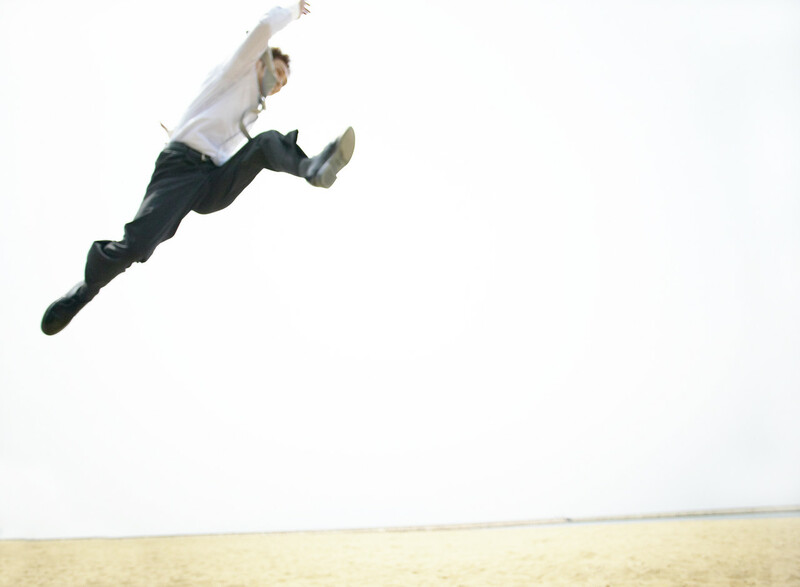 Eddie Mair has launched a ‘Leap for PM’ initiative. Listeners were asked share and commit to doing something with the extra day that leap year offers. 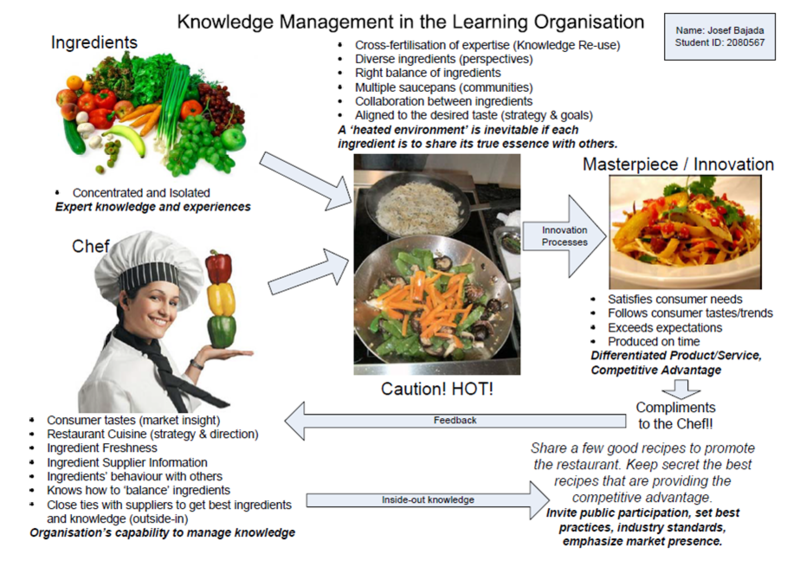 The Henley KM forum Conference starts on the 29th February this year, so fortuitously you can spend it advancing your insights about organisational learning, without losing any of your normal working year in the office! So, since you have all that extra time, I thought it would be good to start a Leap for KM initiative. With that extra day in 2012, what knowledge and learning challenge could you commit to which would help you do more with less. Make a commitment to complete what you have been putting off, or plan to do to use the extra day to leap forward in your KM activities, by commenting on this blog, and we’ll see what a difference collective inspiration can make. I’m going to make a commitment to blog about conference related themes between now and the 29th, rather than living with my blogger’s guilt, for not sharing enough of what I am learning. By the way if you want to hear what PM listeners are planning, for the next few days only you can listen again to the episode on Monday 6th at 5pm. The item is 26.41 minutes into the programme. A different process of batting the ball back and forth across continents. The day after our venture into dialogue, I ventured into another game of batting the ball back and forth across continents. This time a live game of tennis. Abingdon are on the left of the picture. 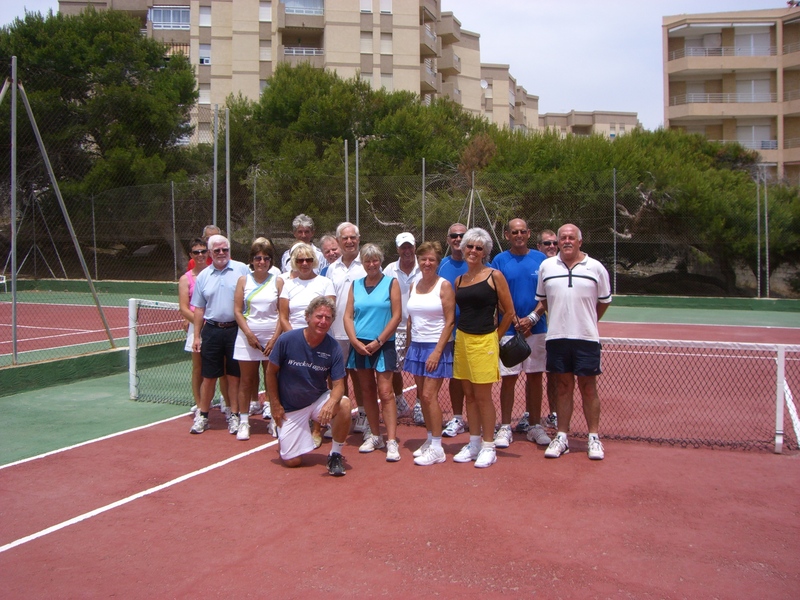 Our tennis coach in Spain, Steve Durie, ( Yes, the brother of Jo Durie) organised a match between a team from Abingdon in Oxford, on holiday in Spain and a local club in Guardamar , that he coaches. They were short of ‘Spanish’ ladies, Yours truly, in the yellow on the right, played 4 sets of doubles, two ladies and two mixed (and won two). A nice contrast to the verbal tennis of the day before! Today was a today for celebration. The bride was beautiful and everyone had fun. What struck me most was a message in the Archbishop of London’s sermon, which applies as much to business in a knowledge economy as to newly married couples. Our ever increasing knowledge endows organisations with a power to make a difference to everyone’s lives. How it is applied is what distinguishes between results that benefit wider society or actions that satisfy only selfish local interests. Markets and competition encourage survival of the fittest, but this is often achieved based on a drive to maximise short term profits or large personal incentives and bonuses. Unfortunately, these singular objectives mean that advanced knowledge is more likely to be used in the service of ends that are not in the best interests of a broad spectrum of society. The Archbishop makes a good point. 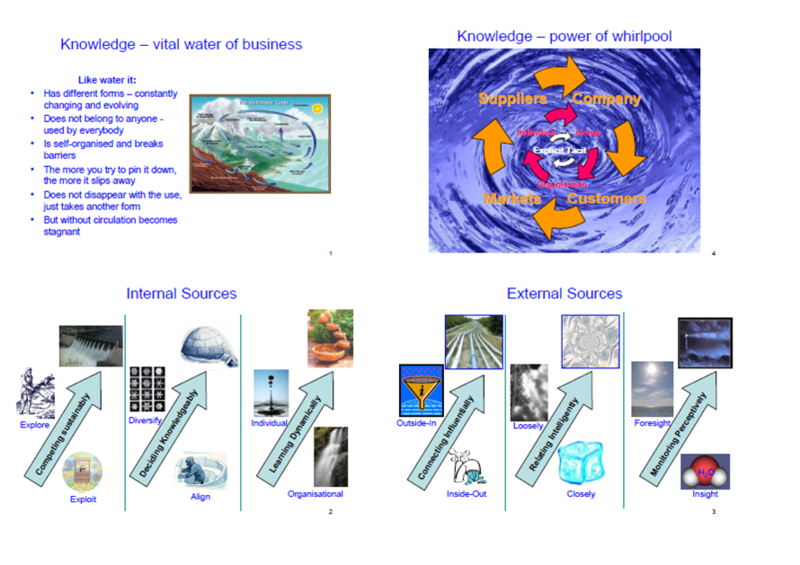 In business, we will not realise the promise of the future simply by generating even more knowledge; it will only happen when that knowledge is used with a wisdom that cares about the impact of outcomes on others and our wider environment. “You need more communication than you ever imagined”, said one Director skilled in leading change in a complex demanding organisation. In relating the story of a difficult period of organisational change and downsizing, the HR Director of one firm that we talked to as part of the Henley KM Forum research activities emphasised how much effort had been put into communication. Her view was that the secret of maintaining morale through change was “communication, communication, communication”. Yet, when I then interviewed someone from the same organisation (in a middle management role and with an inherently positive outlook on life) about what the employee climate was like, she said, that the only criticism she would make was that more communication was needed through the change. Her line management was busy trying to get new business in and just didn’t take the few minutes that was needed to keep people informed. I’ve recently seen the challenge of the message changing through the communication process at a more personal level too. Staying with family to help while one member was in hospital, I repeatedly saw the “story” of what was happening being rewritten in the telling and retelling. Crucial details and facts moved to fit the story that each person was comfortable with, also reflecting how they receive information and what they pay attention to. The work that the Forum has done on “improving the quality of conversations” provides a framework for planning and reflecting on communication at work so that over time it can become more effective. The “moving from sell to buy” provides fascinating insights into our own biases and those of others in terms of the way that each of us has particular preferences and pays more attention to certain things. Clear, consistent communication from all sources is ultimately a knowledge challenge. Have all the parties who need to convey the information received this in a consistent form and then made sense of it in the same way? It is in the transition from information to knowledge where inconsistencies can creep in through different interpretations and biases. As we move to recognise and value knowledge in organisations, the engagement and commitment of individuals becomes ever more important. One of the pillars of engagement, in my view, is good quality communication. We all know that mixed messages breed uncertainty and discord, wasting valuable energy and effort.